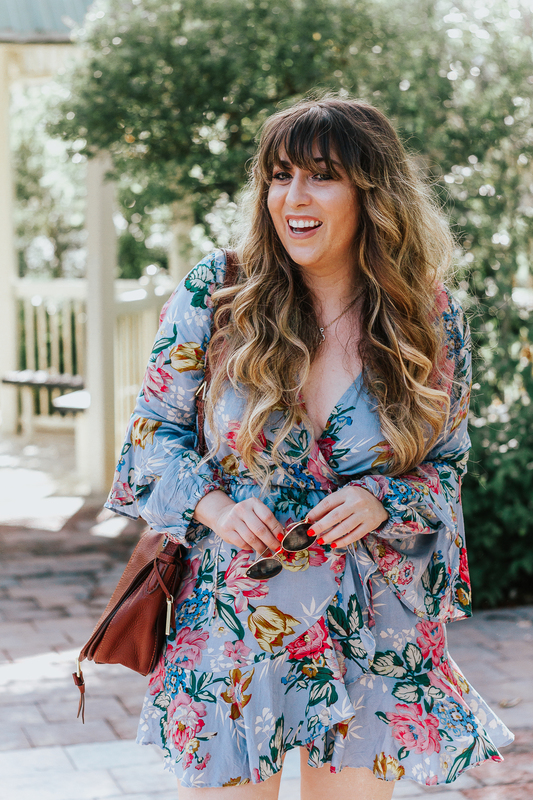 I’m always on the hunt for cute and quirky little dresses that are anything but blah… especially when springtime rolls around. And- yes, I know that it’s technically not still spring. But, I’ve declared that it is, in fact, spring. At least in my mind lol! I was initially simultaneously intrigued and super nervous about this dress when I saw it online on the SheIn website… while it was cute on the model, I wasn’t sure how it would fit on ME, if I would look horrible in it, if it was appropriately quirky or just scary… but I was definitely interested! I really love the fringe, and how it’s a sort of boho take on a classic, timeless fabric- tweed. It had some real INTEREST and had a little funky edge… it was definitely unexpected! The fabric was a good quality and I especially loved the sleeves. So, I decided to give it a try. I’m glad I did! I feel like I should’ve ordered a slightly smaller size, (I got a MEDIUM, I feel like I could’ve gone SMALL, but I was worried that it was going to be too tight.) 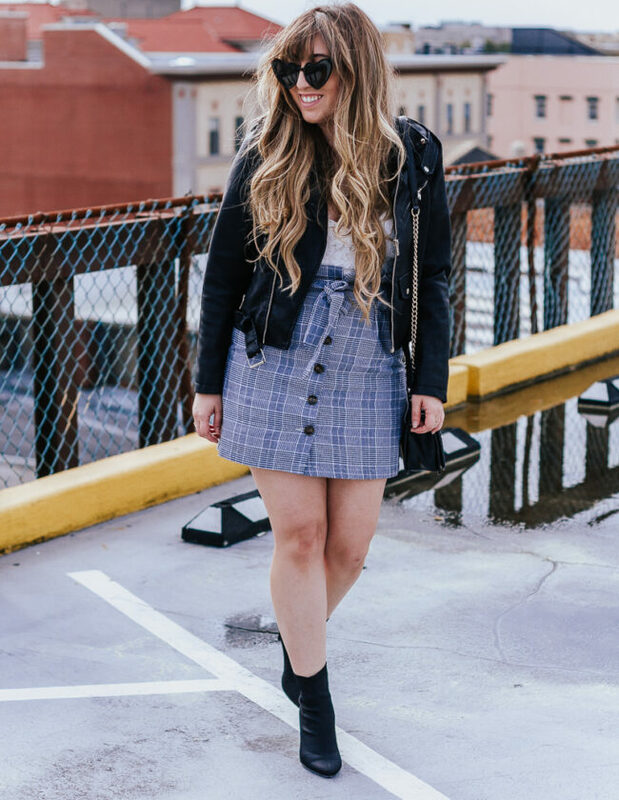 I’m sure if you’re a tall gorgeous model beauty, you’d look extra amazing in it, but with a few styling tricks, even us petite gals can make it work! I decided to belt it and drape a denim jacket over, and there ya go. To be honest, looking back at this outfit, I’m kind of wishing I had shot it with a Converse. BUT, I still love it. Throw on a sandal and a Panama hat and it’s even more perfect for spring! Check out the rest of the look below and tell me what you think in the comments!